The award-winning artist’s eighteenth album is uplifting and effervescent, capturing energy inspired by the 2017 total solar eclipse. Peter Sterling, Richard Hardy, and Anthony Mazzella recreate an otherworldly vibe with highly-emotive instruments including harp, recorder, Irish penny whistle, guitar, soprano sax and more in this recording laid down in the sacred vortices of Sedona, AZ. Magic Kingdom’s mystical & uplifting melodies evolved over a period of a year in Sedona, with Sterling playing keyboards, harp, recorder, Freenote chimes, Peruvian wooden flute and percussion, while Richard Hardy plays the poignant Irish penny whistle and soprano sax, with Anthony Mazzella adding a guitar groove. The thematic album is a journey of sorts, full of sonic rewards with a slightly Celtic lilt. Sterling — a successful DIY composer, harpist, and entrepreneur – both produces and markets the album via his indie record label, Harpmagic Music. The album is indeed uplifting, incorporating both electro-acoustic and nature sounds, light vocalizations and a mystical groove along the lines of electronic-new age-fusion groups like Enigma, B-Tribe, Adiemus and Andreas Vollenweider. The listener sits back and follows the albums sonic sunshine through awakenings, joy, dreams, ascension and entry into the Magic Kingdom; this is music for relaxation, meditation and visualization at its best. For review copies and interview requests, contact Beth Ann Hilton, The B Company, 310-560-8390 or theBcompanyPR@gmail.com. Peter Sterling’s career as a recording artist began in 1994 with his first album, Harp Magic, released on the World Disc label and nominated for the Best Instrumental Album award by NAIRD (now A2IM). His acclaim grew exponentially in the 2000s with high-charting albums and multiple nominations from the prestigious website New Age Reporter/Zone Music Reporter, including several Album of the Year nominations. Best-selling authors and teachers such as Neale Donald Walsch, Doreen Virtue Ph.D., and James Van Praag have embraced Peter’s music in their work over the years. 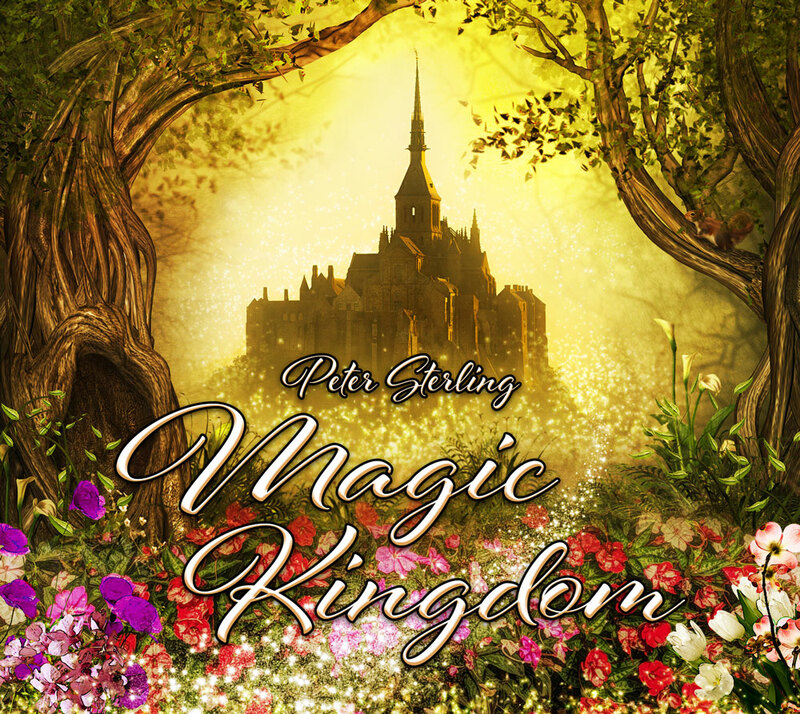 While his recent works are released on his own Harp Magic label (including his 2018 album, Magic Kingdom), the renowned Real Music label released his Shadow, Mist and Light album in 2005. His most recent recognition came in 2017 when he shared the Hollywood Music and Media Award (HMMA) for Best New Age song. He is also a metaphysical teacher, an accomplished stained-glass artist, and a backcountry guide to the sacred sites of Sedona, Arizona. Visit www.harpmagic.com for more information.